BlackBerry has not been keeping up with its competition and the sales have been dwindling ever since iPhone and Android smartphones came into picture. After all, it is tough to have a USP when your competition has ten more with better value propositions. However, BlackBerry did not let its empire fall down and fought back with the Passport which did not really excite the users owing to its square design, not comfortable enough to hold in hands and the ever-so-old BlackBerry OS. But things have changed, and BlackBerry has realized the importance of adopting Android as the primary OS for its smartphones, or else not call them smartphones altogether. BlackBerry’s latest offering, BlackBerry Priv had been under a lot of speculation before final unveiling in November 2015. It was then that the critics finally took cognizance of a phone that deserved some attention, owing to unique design and BlackBerry’s first stint with Android. Seeing the market in India, BlackBerry is planning to launch the phone in India on January 28, with invites being sent for the media event. BlackBerry is also expected to give out details about its plan for Android apps on BlackBerry phones. 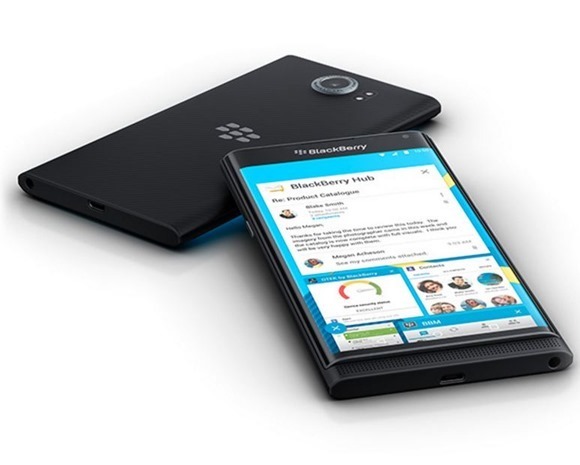 BBM, its own messaging service, was a hit amongst users before Whatsapp raided the territory, and it continues to be a favourite for loyal BlackBerry fans. It will be interesting to see how BlackBerry fuses its own apps with Android apps to fill the gaps it had kept earlier. The phone is bound to catch your attention, since it is not like any other smartphone out there. BlackBerry Priv is a very sleek and classy looking device, with a 5.43-inch dual-edge AMOLED display, nearly bezel-less, which puts it into the category of large smartphones. The display is qHD, 2560 x 1440 pixels, making it extremely clear to see and producing fantastic colours. It is powered by Snapdragon 808 chipset coupled with 3GB of RAM and 32GB of ROM. Storage is expandable upto 2TB with an external microSD card. Now coming to the main part, the Priv is not like any generic smartphone out there. It comes with a keyboard, which is behind the large screen. Sliding the back down reveals a QWERTY keyboard, making it go back to BlackBerry’s roots. This is excellent for professionals as it makes typing a tad bit easier, however it makes the phone even bigger to hold in one hand. Nevertheless, the physical keyboard makes the virtual keyboard disappear, giving your more screen space for your work and emails. The keyboard also doubles up as track pad, and carries over the same features from previous BlackBerry devices. Running on the latest Android OS Marshmallow 6.0, the smartphones has 18MP primary camera with Optical Image Stabilization, and a tiny 2MP camera in the front. It houses a large 3,410 mAh battery with quick charge ability, enough to provide you with a day of use. It comes with the usual connectivity options like WiFi, Bluetooth, GPS and LTE etc. There has been no official notification about the prices, but we do not expect BlackBerry to launch it at a very jaw dropping price, or even a competitive price considering the past trends. If there is one thing that BlackBerry needs to change is its pricing strategies, specially in developing countries where people will search for cheaper and better alternatives to overpriced smartphones. Launched in the US for $699.99 unlocked, Indian shores could very well expect it to be priced more than the simple converted number. We expect Blackberry Priv to priced somewhere north of Rs. 55,000 including all the import taxes and distribution costs. January 28 is not very far, and this will give enough time for BlackBerry fans to assess their next smartphone. While we expect BlackBerry to join hands with online stores to give out exclusive accessories as a launch gift, the phone will be coming with a premium price tag, which means sales might not be as strong as expected. We hope to see more BlackBerry smartphones this year at cheaper price points and similar functionalities. "BlackBerry Priv, First Android Phone From Blackberry, Coming to India on 28th Jan", 3 out of 5 based on 5 ratings.